I “bribed” one of my students to watch his Cambodian grandma make these and write everything down. These are just like what she made! If you don’t like ginger, don’t make these. Prep time doesn’t include marinating. 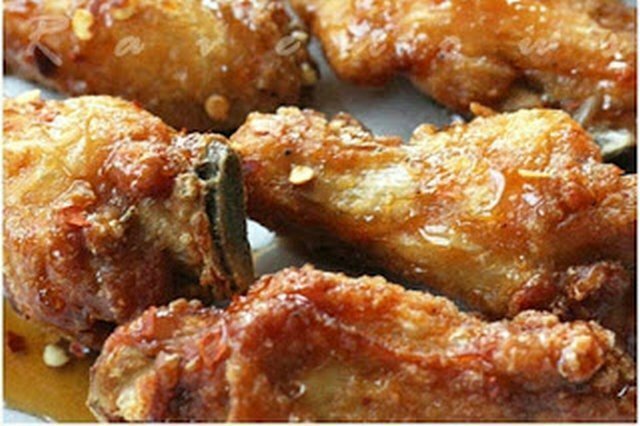 Put chicken wings in a large bowl or ziplock bag with soy sauce, salt, brown sugar, ginger, garlic and paprika, mix well. Cover wings and refrigerate for at least 4 hours or over night. Cook chicken wings on low heat grill until golden brown & skin is crispy. (About 15 minutes).